Once you have completed your FAFSA, and have received your Student Aid Report detailing all of your financial aid options, you may well find that you are still short of the mark in paying for your college education. Even with Stafford or Perkins loans you may find you still do not have enough money to match your needs. The next step is to find a supplemental loan to help close the funding gap. Once you've assessed your student financial aid options, you may find you are in need of further funds to make up the total cost of attendance at your college of choice. Ultimately you may need to secure an alternative loan, and that's where the signature student loan comes into play. Signature loans, unlike most other private lender loans, do not require any collateral in order to qualify. Sometimes called 'good faith loans,' these loan agreements are made on the basis of the applicant's credit score and income. One of the most popular organizations offering Signature Student Loans is Sallie Mae. Sallie Mae offers signature loans to qualifying applicants in order to help them cover any unmet needs in their college financial plan. Loan approval is based on the applicants credit score, which in the case of most college aged students may be low or non-existent. In this case a cosigner, or co-borrower, with acceptable credit will be necessary to secure the loan. With the cosigner's help, a suitable loan can be secured more easily and at a more reasonable interest rate. Most signature loan programs offer a co-borrower release option, allowing the student to assume full responsibility for the loan after 24 monthly payments have been made per schedule. Because signature loans draw their funds from private sources, students have access to larger aggregate amounts than either the Federal Stafford or Perkins loans. Signature student loan amounts can range from $500 to more than $100,000 depending on the students graduate status and credit score. This allows for much more flexibility when trying to cover the costs of a college education. 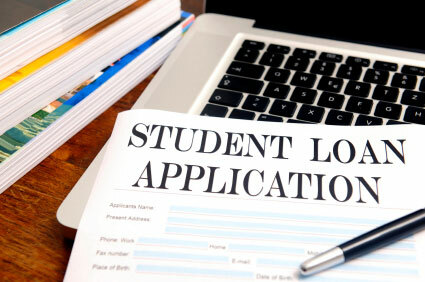 The major benefit of a signature student loan, is that it can help students gain access to much needed funds to cover any unmet financial needs for their college education. However, while these good faith loans can certainly make up for any shortfalls in a student's college fund, they do have their drawbacks. As an unsecured loan they will come with higher interest rates and more stringent repayment terms. A signature loan may be useful, and even necessary, but be sure to borrow only the money you absolutely need to cover your college cost of attendance. Both loans offer in school deferment, and a grace period of six months before repayment must begin. Federal loans have fixed low interest rates. Interest rates on signature loans will depend on the applicants credit-score, and will be decided by the lender. Federal Loans provide for 10 year repayment plans, barring any deferments. Signature loans can offer 15 to 25 year repayment plans but borrowers should be aware of any variable interest rates or applicable fees involved with longer term loan agreements. In the case of Sallie Mae student loans, signature loans can be consolidated with any Federal loans to accommodate one easy payment. Signature Loans have higher aggregate amounts than simple Federal Loans. The cost of a college education is substantial, and it is unlikely any one source of financial aid will adequately cover all of your funding needs. A signature student loan can help cover the balance of your cost of attendance and make your college career a real possibility. As with any loan however, you must consider all aspects of a loan before you agree to anything. Signature loans, like any other alternative loan, offers great advantages as well as great responsibilities.